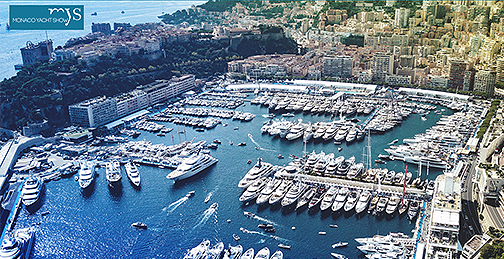 At this year’s Monaco Yacht Show, Inmarsat, has announced that the firm is strengthening their links with the superyacht community with the appointment of the firm's partner, SSI-Monaco, as a reseller of Inmarsat’s ground-breaking Fleet Xpress (FX) service. The appointment of SSI-Monaco as an FX reseller significantly enhances its capabilities to offer captains and crew access to the world’s only globally available high-speed satellite broadband network. Fleet Xpress also delivers a fully-integrated solution for seamless communication, meeting specific superyacht requirements and providing a global, secure service for the Monaco superyacht cluster. The 2018 Inmarsat Superyacht Connectivity Report is available for download now by clicking on the following link. Rob Myers, Inmarsat Maritime, Senior Director, Large Yacht and Passenger, said that the company is really pleased that SSI is joining the Fleet Xpress partner network. This increases the company's presence in a key region at a time when demand in the superyacht market for reliable, seamless and secure connectivity is growing strongly. To meet this demand, it is important to extend the Inmarsat network and secure the support of key partners, such as SSI, to enable fast industry transition to high-speed connectivity. Awareness of the differentiated capabilities of Fleet Xpress is increasingly rapidly. It delivers reliable, flexible, high performance superyacht connectivity globally, strengthening Inmarsat’s position as the driving force in the global maritime sector for connectivity at sea. Dr. Ilhami Aygun, President & CEO, SSI-Monaco, added that the development of the firm's established relationship with Inmarsat ensures the company can further enhance the global mobile communications offering for superyachts and offer all the benefits of Fleet Xpress to the superyachts of Monaco.